Steve Farber is continuously raising the stakes of leadership to the extreme. 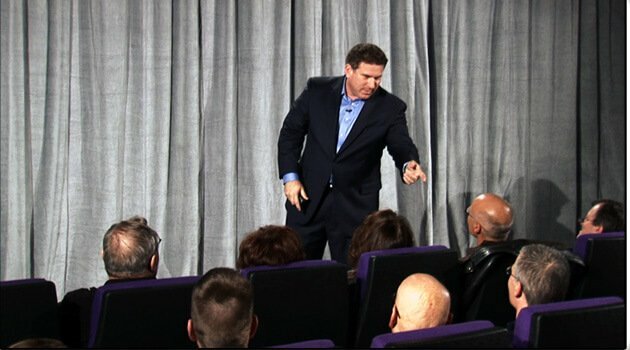 He is an executive coach, speaker and a best-selling author. His first book, The Radical Leap: A Personal Lesson in Extreme Leadership was recently named one of the 100 Best Business Books of All Time. His second book, The Radical Edge was hailed as “a playbook for harnessing the power of the human spirit.” His newest book, titled, Greater Than Yourself, was recently published by Doubleday. Steve Farber is the former Vice President of legendary management guru Tom Peters’ Company and is now the president of Extreme Leadership, Incorporated-an organization devoted to changing the world through the cultivation and development of Extreme Leaders in the business community. He is the co-founding director of the Center for Social Profit Leadership, and serves as Vice Chairman on the Board of Directors for the world-famous Up With People program. As one of the most highly sought-after speakers in North America, Steve's client list reads like the Who's Who in American business.